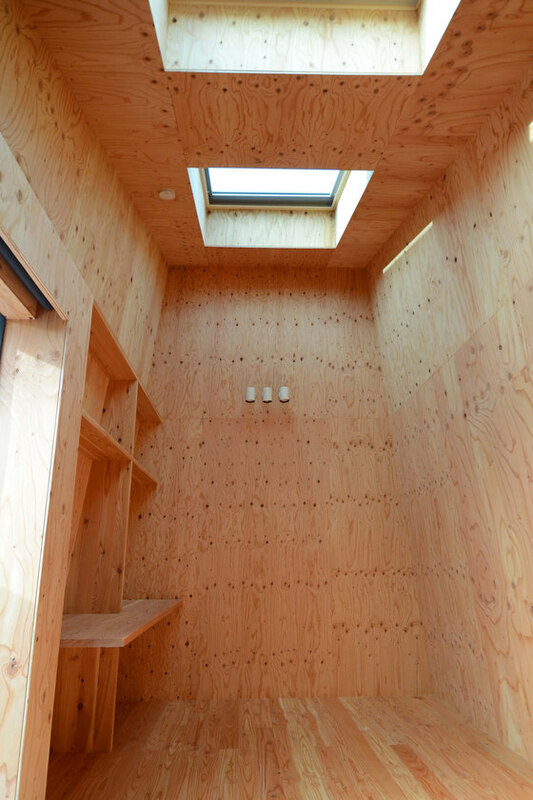 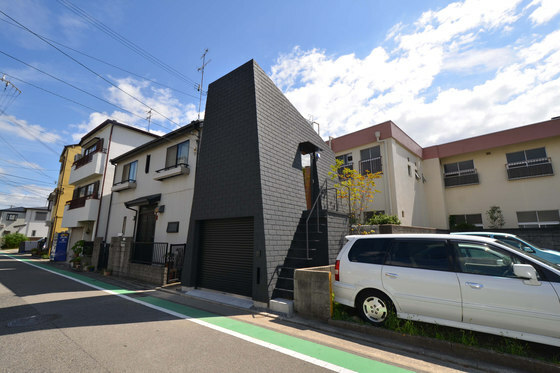 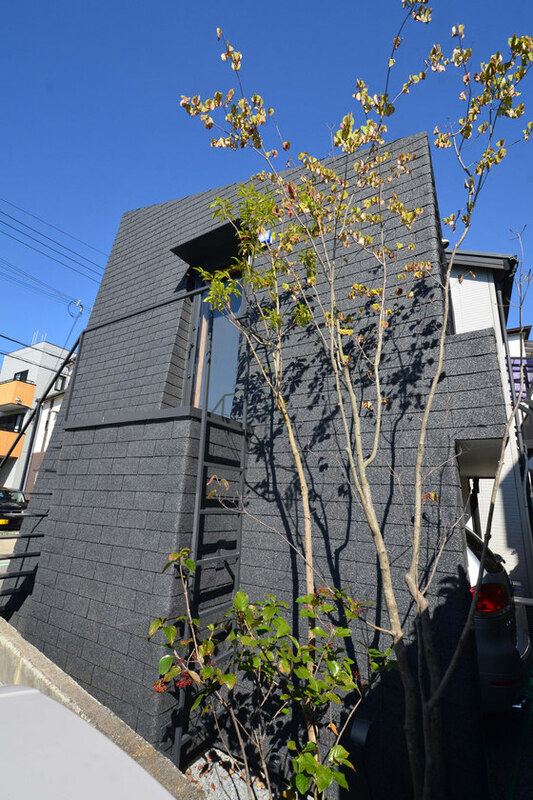 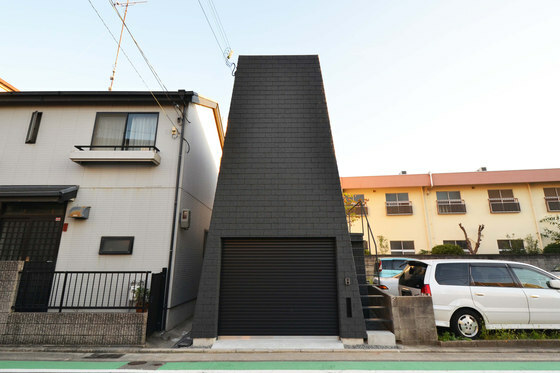 This compact wooden structured house with inclined walls is located in a residential neighborhood in Hyogo, Japan. 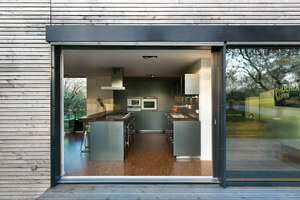 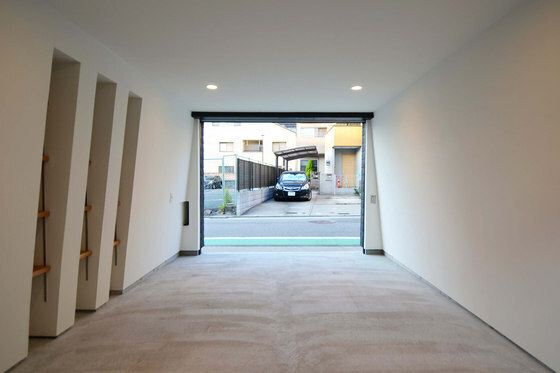 The two requirements from the client were to have enough space to park a large four-wheel drive car, and not to be bothered by neighbor's gaze while relaxing in the house. 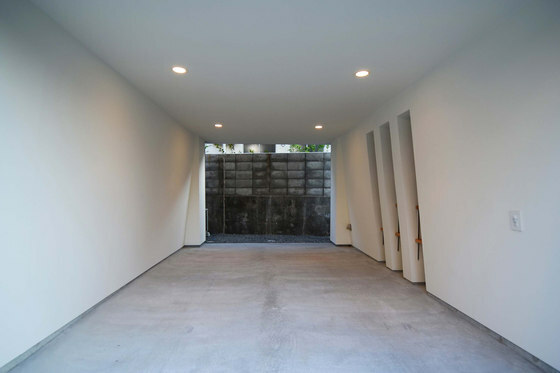 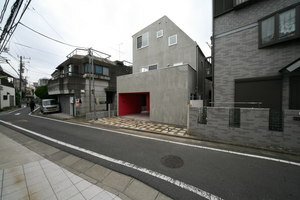 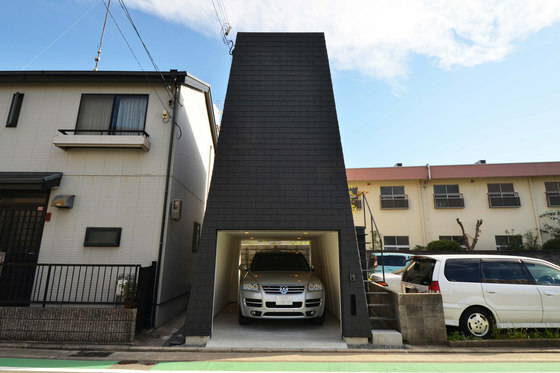 In order to fit the large four-wheel drive car in the small site of only 27 square metre, the plan was to utilize legal maximum floor space, which lead to build the walls as close to the neighbors as possible. 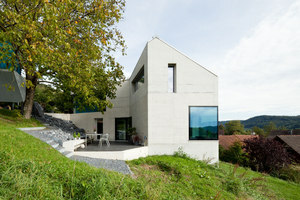 The inclined walls are to ease the eyes of an oppressive closely built house. 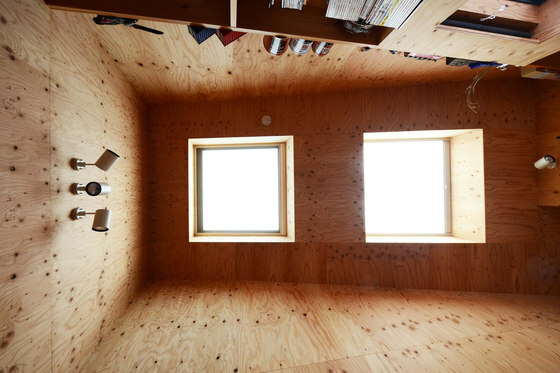 The roof and walls are the same material to create a one mass volume like a mountain. 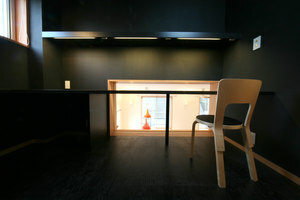 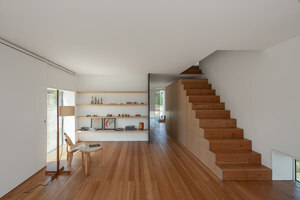 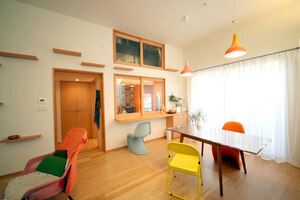 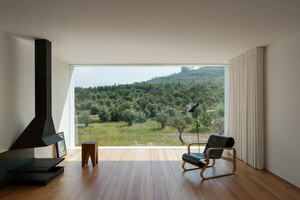 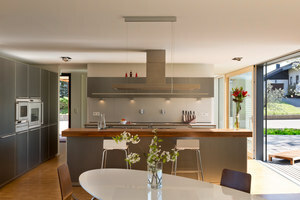 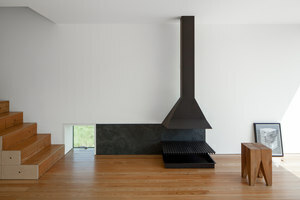 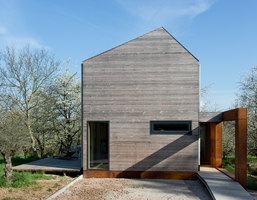 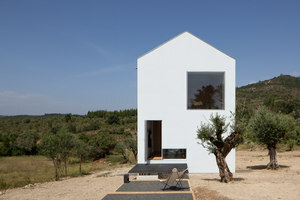 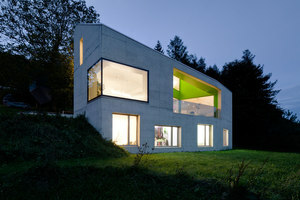 To fulfill the clients' request to have a private relaxing house, the main window was made on the roof. 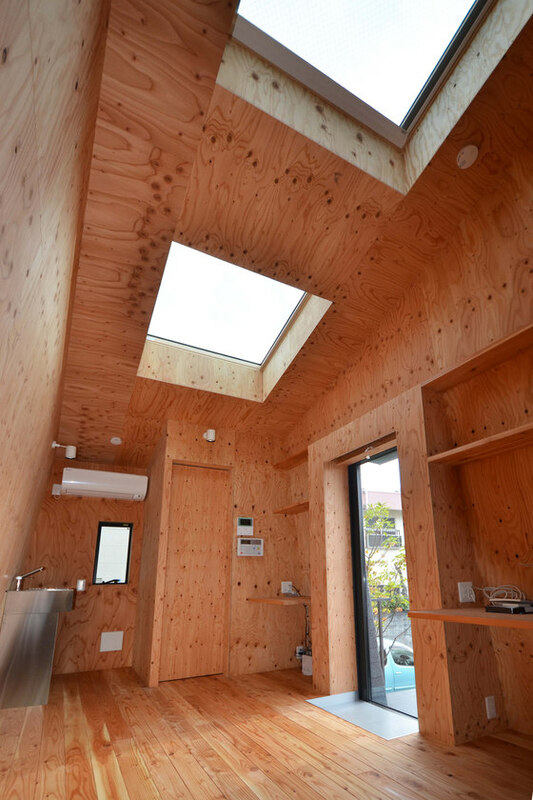 Since the roof was made small by the house's shape, it allowed the roof to mostly be window, which allowed plenty of comfortable sunlight.